This is the trip every small stream western fly angler has ever dreamed about. Accompany one of our small stream specialists on a beautiful Southern Rockies stream for a day. We focus on several gold medal caliber creeks within 30-45 minutes of the flyshop. All of these small watersheds offer the angler great dry fly action all day, with opportunities at 4 species of trout: Cutthroat, Browns, Rainbows, and Brook Trout. If you have been looking for solitude and great Rocky Mountain stream fishing, a Backcountry Creek trip with Royal Gorge Anglers is right down your alley! ***Lunch and refreshments are included in all Full Day trip formats. This is the trip every small stream western fly angler has ever dreamed about in a 5 hour format. Accompany one of our small stream specialists on a beautiful Southern Rockies stream for a day. We focus on several gold medal caliber creeks within 30-45 minutes of the flyshop. All of these small watersheds offer the angler great dry fly action all day, with opportunities at 4 species of trout: Cutthroat, Browns, Rainbows, and Brook Trout. 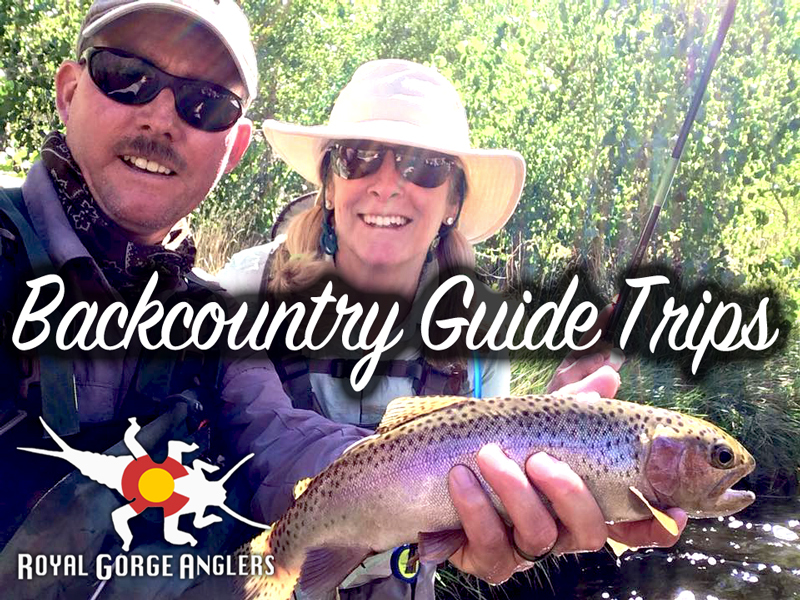 If you have been looking for solitude and great Rocky Mountain stream fishing, a Backcountry Creek trip with Royal Gorge Anglers is right down your alley!